Here is the list of pangram or holoalphabetic sentences that have all alphabets at least once. 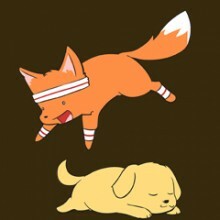 Most famous one is "The quick brown fox jumps over the lazy dog". Everyone who learn typing use this to practice each letters of Alphabet. ●”How razorback-jumping frogs can level six piqued gymnasts!”: Not going to win any brevity awards at 49 letters long, but old-time Mac users may recognize it. ●”Cozy lummox gives smart squid who asks for job pen”: A 41-letter tester sentence for Mac computers after System 7.